Kandolhu Maldives consists of 30 villas on the island and by the reefs. There’s nothing quite like an all-inclusive vacation to kick off 2019. You’ve worked hard all year, and have been dreaming of a toes-in-the-sand, bottomless-margarita-in-your-hand, kind of getaway. And who could blame you? On an all-inclusive vacay, you don’t want to have to worry about anything, and you won’t have to touch your wallet the entire time. Win. Win. But, if you’re envisioning all-inclusives with cheap, watered-down drinks, subpar food, and throngs of spring breakers, let me set the record straight once and for all – not all all-inclusives are created equal! Yes, you could spend a week in an affordable all-inclusive anywhere in the world, but these five resorts I’ve rounded up below are a cut above the rest. These five resorts are redefining the all-inclusive industry as luxury all-inclusives, with fabulous dining, world-class service, and some of the best all-inclusive locations in the world. 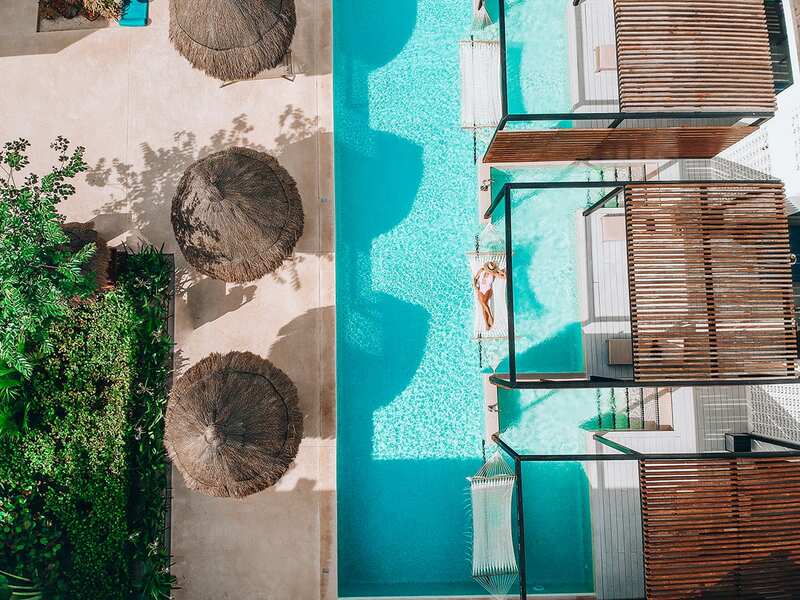 If you’re looking for a family-friendly all-inclusive on the Gulf of Mexico, that doesn’t sacrifice on quality and luxury, Finest Playa Mujeres is going to be your new favorite vacation. It’s easy to see why so many families, especially those with young kids, are drawn to this hotel. With a lavishly spacious kids club (with complimentary babysitting and activities offered at no additional cost), a family-friendly atmosphere, and a large focus on giving parents AND kids the rest and relaxation they need from a Mexican vacation, Finest is one of the best all-inclusives for families and couples alike. The food is world-class, with more than twelve restaurants on property and countless options and cuisines; not to mention the private suites are breathtaking. 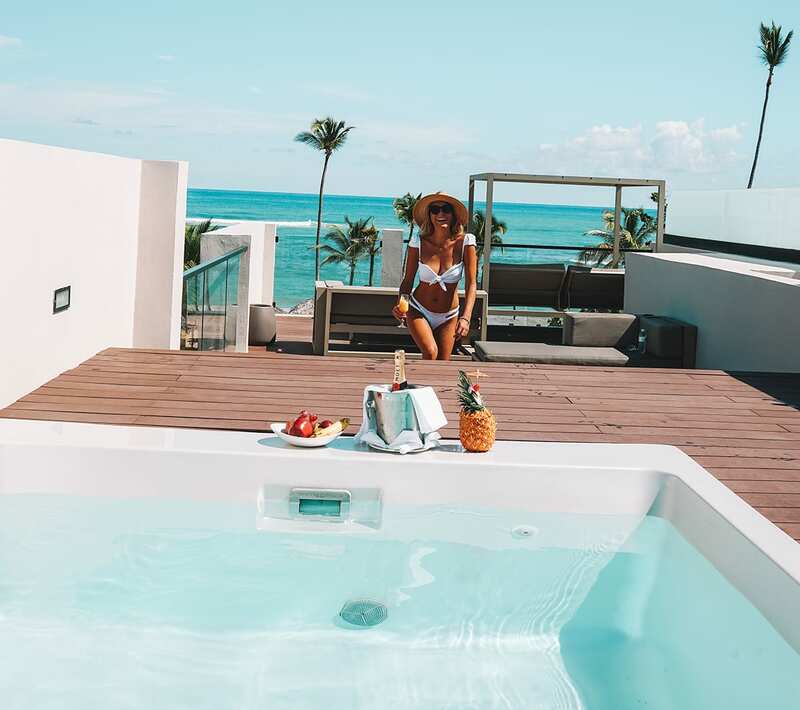 You can choose from many types of suites, from beachfront two-story suites with rooftop plunge pools to “swim-up-suites” that feature direct access to the pool and your own personal in-pool hammock right outside your back deck. At Finest, you can be adventurous as you like on your vacation, taking part in everything from sailing to paddleboarding, volleyball, and water activities. You could also do precisely the opposite, choosing to simply hang out in the pool or in your hammock sipping margaritas. There’s something for everyone of every age at this beautiful Mexican resort. Bird’s Eye view of the pool area at Finest Playa Mujeres. St. Lucia is one of the most popular romantic tropical getaways and honeymoon destinations in the Caribbean, and it’s easy to see why. St. Lucia offers travelers a little bit of everything – from volcanic peaks and majestic mountains to lush tropical rainforests and long gorgeous stretches of white-sand beaches. You can spend your days at the beach, on an adventurous hike through the rainforest, soaking in sulfur springs, or getting a massage with views of the Caribbean sea. But let’s be honest: what makes or breaks any trip to the Caribbean is the resort. 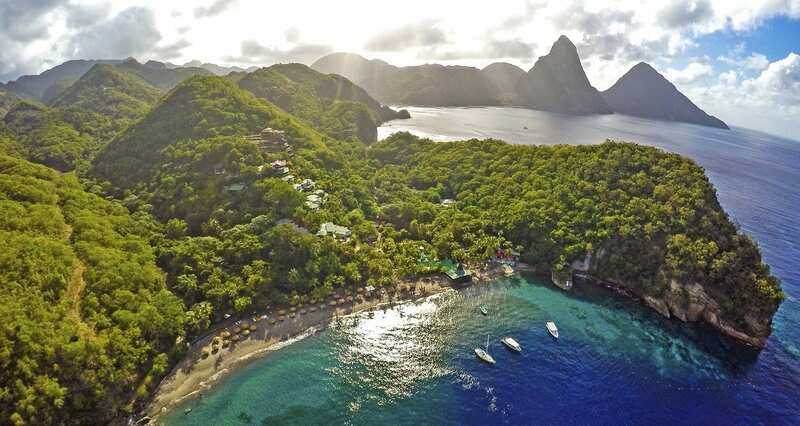 Anse Chastanet, a jungley 600-acre estate, with massive views of both the mountains and beaches, has mastered the art of service and value mixed with a uniquely Caribbean character. With just 49 breathtaking ocean and mountain view rooms, this beautiful boutique naturalistic hotel is arguably the best all-inclusive hotel in Saint Lucia. Anse Chastinet by the Soufriere Bay in Saint Lucia. If you’re looking for the ultimate in all-inclusive luxury this year and an experience you’ll never forget, The Maldives needs to be on your 2019 bucket list. When you think of paradise, this is it. 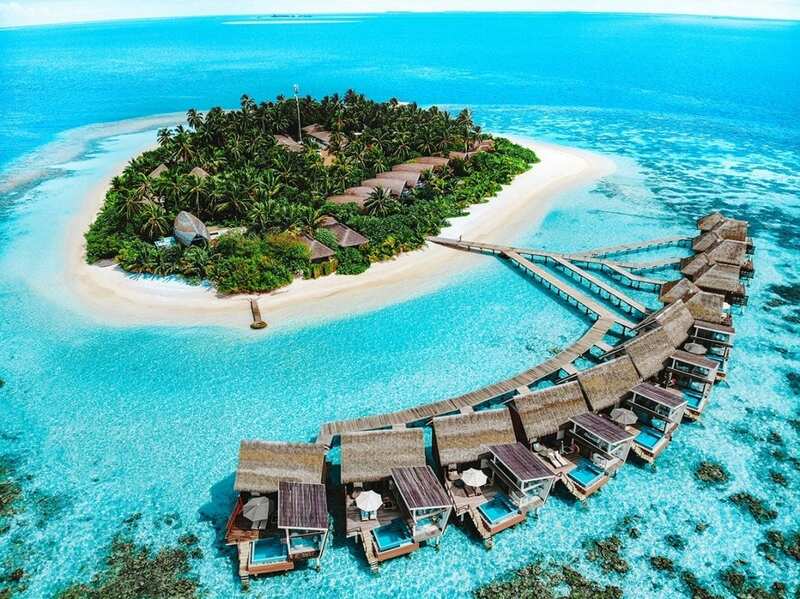 The Maldives is a stunning archipelago of more than 1200 small coral islands, whose natural beauty is only matched by the stunning luxury resorts tucked into the islands. Kandolhu Maldives, an adults-only all-inclusive resort accessible only by seaplane in the Maldives, is one of the very best resorts in the world – perfect for a special occasion or as a honeymoon destination. The pool area by each villa. From the second you step foot onto Kandolhu island, you won’t need to touch your wallet (or your shoes) for the rest of your trip. All alcohol (including the delicious stocked wine fridge in your suite) is included, as well as all of all of their world-class food. And with multiple delicious restaurants to choose from, including an Italian bistro, a Mexican taco stand, and a Japanese hibachi steakhouse, you can’t really go wrong. Spend your days soaking up the sun or swimming around the resort’s incredible house reef that is teeming with wildlife; in fact, it’s not uncommon to snorkel with rays, turtles, and friendly sharks just outside your bungalow. Then at sunset, sip champagne on the deck of one of the most beautiful over-water villas in the world. This hotel is breathtaking in every sense of the word. Excellence El Carmen’s pool area. The Dominican Republic is the most popular destination in the Caribbean, and it’s easy to see why. This beautiful, exotic, and tropical Caribbean country is easily accessible from most of the US, and the resorts here know how to do all-inclusive right. 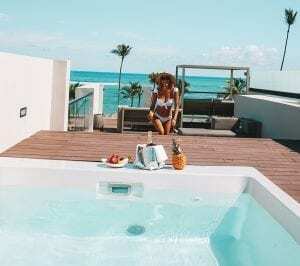 A favorite among the many all-inclusive options in Punta Cana is the new Excellence El Carmen, featuring 22 pools, super-spacious suites, and absolutely gorgeous modern resort facilities. 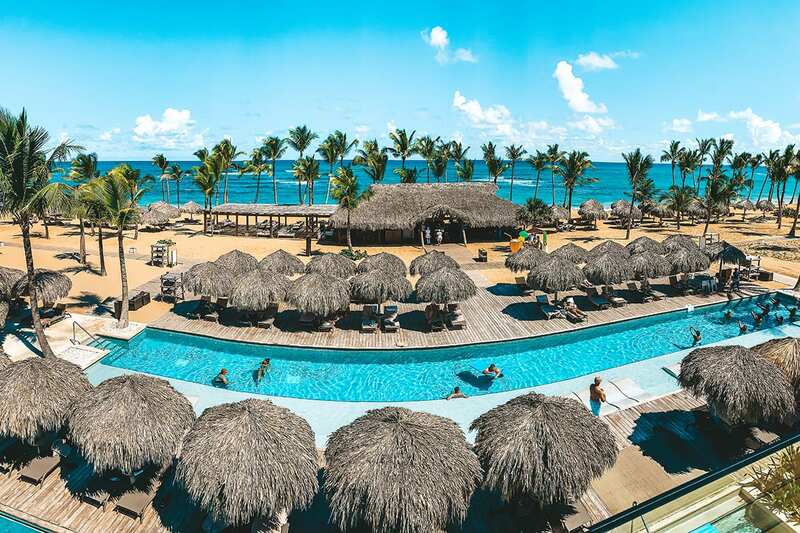 Stretched out on a gorgeous palm-lined, white sand beach, this beautiful brand new resort in Punta Cana is what all of your all-inclusive dreams are made of. Despite having close to 400 rooms, it never feels crowded and boasts tons of spacious, open areas. Delicious food and drinks await you – not to mention the white-sand beach of your vacation dreams. It’s adults-only, perfect for a honeymoon destination in the Caribbean or just a romantic couples’ getaway. Wide view of the Excellence El Carmen resort and its pool area. If indulgent, all-inclusive, and on-a-private-island is your vacation style, no one does it better in the western hemisphere than Cayo Espanto Private Island in Belize. With just seven deluxe beachfront villas, every second of your time on this island is going to be absolute bliss. From arrival, you’re treated like royalty and met with cold tropical drinks, towels, a welcome bottle of champagne, and tons of fancy snacks. You’ll have a butler on call at every moment of the day as well as a personal chef that caters to your liking. The villas are big and breezy, filled with luxurious mahogany wood, crisp white Egyptian linens, tasteful pops of Caribbean color, beautiful plunge pools, and private piers. The breathtaking Cayo Espanto Private Island is an extremely exclusive yet simultaneously unpretentious experience that screams relaxed luxury. The resort focuses on personalized service and perfecting each and every detail of your stay to such a degree that you may never want to leave. 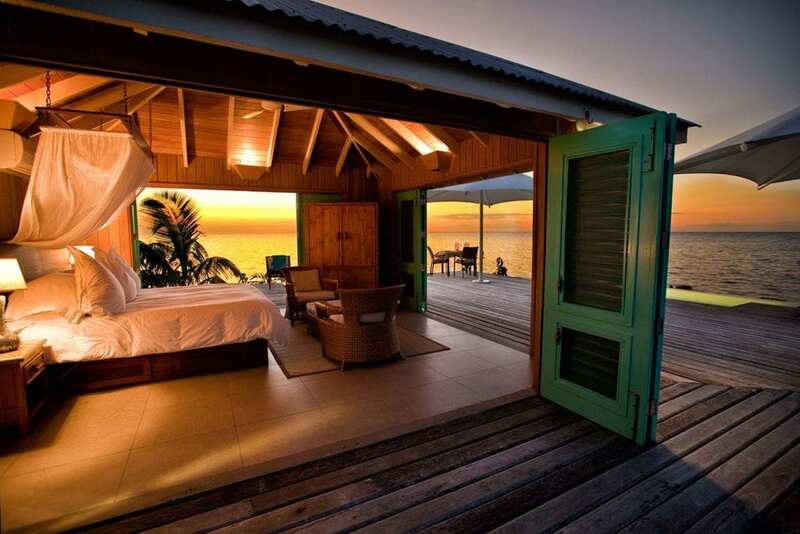 A look inside the suite of Cayo Espanto. Whether you’re looking for endless activities, beautiful beaches, delicious food or lavish luxury, there’s a perfect all-inclusive resort for you and your ideal vacation. Staying at an all-inclusive resort is one of the best vacation options out there, and booking a trip to any of these resorts will give you something amazing to look forward to in 2019. Happy travels! Next articleCan Money Buy Happiness? Studies Explained. 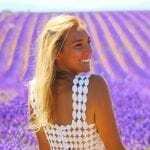 Christina Vidal is one of the top luxury travel bloggers in the world and has been ranked "#1 Luxury Travel Instagram to Follow" by Travel & Leisure and "Influencer of the Year" by IZEA. She’s been to 58 countries (and counting) and is always on the hunt for the next best destination. You can follow her adventures on Instagram and find all of her travel guides and recommendations on JetsetChristina.com.